It’s been a while since I’ve let you all know what I’m up to, but it’s almost spring and there’s a lot to share. For one, I’ll be releasing Oculus for everyone (for free) sometime this summer. The decision to give it away was simple; When you have something you feel really good about, and can possibly better people’s lives, it’s important to remove the barriers so more people can experience it. Don’t get me wrong, I (we) need to earn a living too, but it’s not going to hurt me to share some of my work at no cost. This leads me to the next point. Over the past two years I’ve taken a pretty long break from teaching any lessons of Tessera. There’s been so many ups and downs, changes in plans, and of course, life events such as heart issues, torn tendons, and family gatherings, which have continued to stall my progress. I‘m sure many of you can relate to this. You start a new project, work hard at putting everything in order, only to find out there’s pieces missing that must be put into place before you can move forward. It doesn’t matter if it’s a book, a story, a painting, a speech, or a coaching program, everything can become derailed before you even begin. If anything else could show me this greater than the last two years of trying to put all the pieces in place, then I must have missed it. Regardless, my latest work with Oculus has truly been a breath of fresh air. Yes, it too, has changed dramatically like everything else I’ve ever worked on. But, it has (finally) allowed me to explain what Tessera is, how it works, how you can build you own, and most importantly, how it effects (and can help) others. This isn’t new work I’m talking about either, it‘s a combination of everything over the last two years, which has been re-organized, made simpler, and been refreshed in a way that can finally be consumed to support a beautiful, full, lifestyle. Speaking of which. The culmination of all of these efforts has led us (Jen and I) to create something truly unique by asking ourselves the same question over and over. 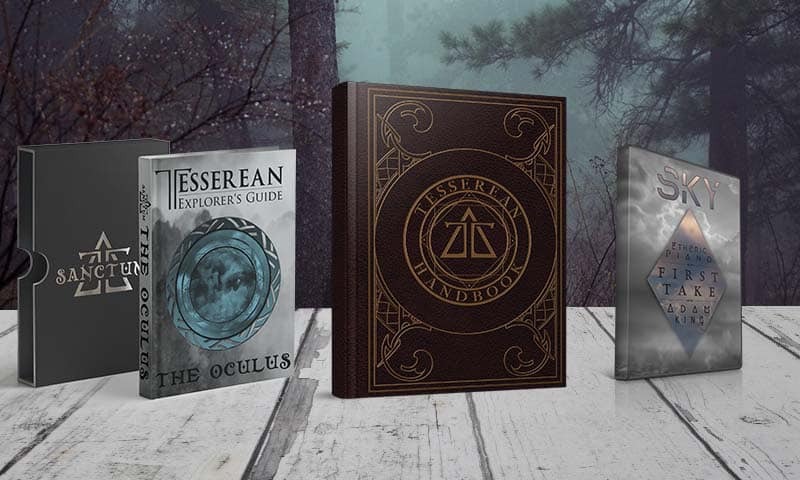 The answer began with Oculus, but has now evolved into a project called The Tesserean Handbook. This project is set to release on September 6th, 2019 – or earlier if possible. It will consist of a physical book (see header image) that is electronically linked to the Tesserean website via URLs and QR codes. This allows the reader to use their smartphone (or computer, tablet, etc) to access a multitude of content such as lessons, MAS experiences (like Oculus), audio and video recordings, and much more. Also, each book will come with a unique license that will grant the owner unlimited updates, and includes an accomplishment board that will offer rewards for each completed experience within the work. As you can tell this is a massive project, but we believe it’s the one that the last nine years of Tesserean work has led us to. With that said, there’s also a new album in the works, since music is something I will never stop doing. 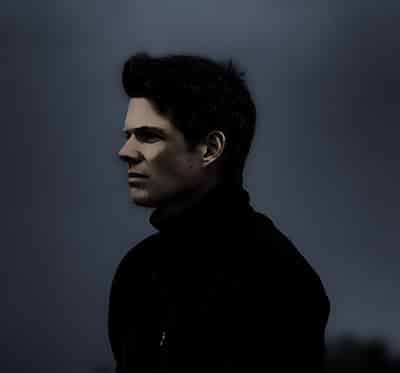 The album is titled SKY (for now), and is a unique first-take piano version. However, this album will also include some of the best orchestration I’ve ever done. You may not even know it, but the first song was created around the holidays. Still Nacht. Lastly, I will do as many updates as I can, but things will be quiet as I complete Oculus and prepare for the next project. However, when September comes and the Handbook is ready for print, you’ll see the Tesserean work finally sprout the wings it’s been growing over the last decade. And yes, I may do a couple of small betas along the way, so keep an eye out for any update emails I may send. I wish all of you a wonderful spring and keep an eye here and on your inbox.